These rolls of binding were my New Year's Eve day sewing, products of my determination to move a few projects closer to finished state before the calendar rolled over to 2016. 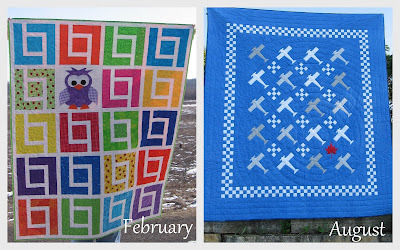 After Christmas I looked back at my 2015 sewing and realized I had only two "large" quilt finished for the year. By large I mean at least a throw size. So what did I have to show for the rest of my efforts? There are four runners that took up most of my May and June sewing time but that I can't share yet (though hopefully soon?). 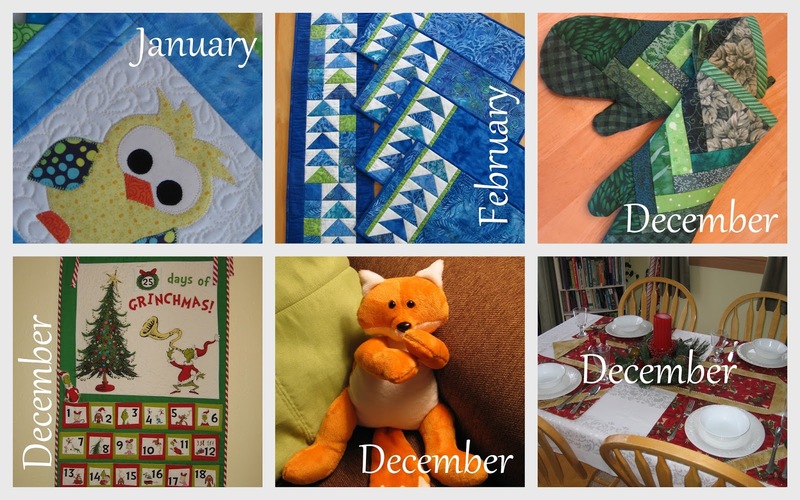 The rest are partially pieced projects, flimsies and partially quilted pieces that I couldn't decide how to finish. These three are still in the unquilted pile. The first two measure about 30" x 40" and will get done at some point but I'm not feeling any urgency about them. The third was basted on New Year's Day and will get quilted up in the next two or three weeks. The purple binding is waiting for that one. And by the way, I think I'm done with Sparkling Trail for a while! 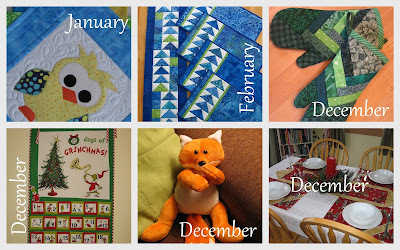 Between Christmas and this morning I quilted and quilted and quilted and moved 4 more projects to the "just need the binding" stage, and may I refer to the picture at the top of this post for a peek at the bindings waiting for them? I'll share full pictures when they have their bindings attached. This queen size one has been coming along in fits and starts since last February, and I think I'm almost ready to pull the top together. This one is definitely being sent out for quilting! 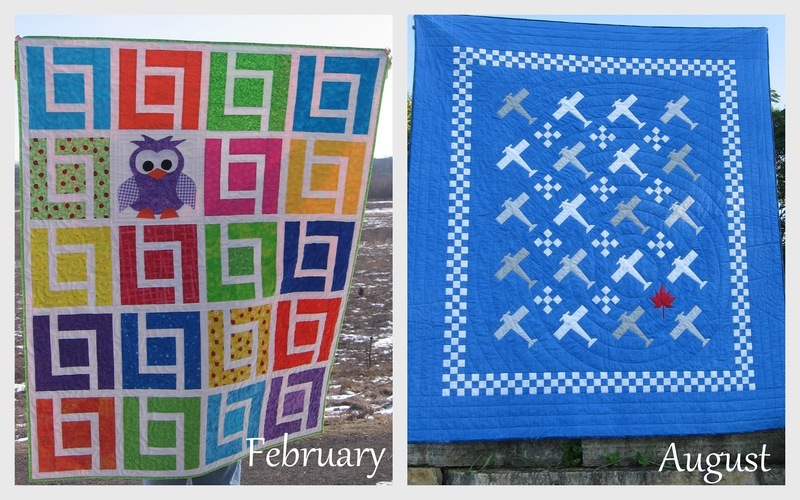 So for the next month or so, I am going to concentrate on these three quilts, and possibly that variation. I also need to finish writing patterns for the snowflake quilt, the treeskirts, the fall quilt... Let's just say that Canuck Quiter Designs is off to a running start in 2016! Happy New Year! 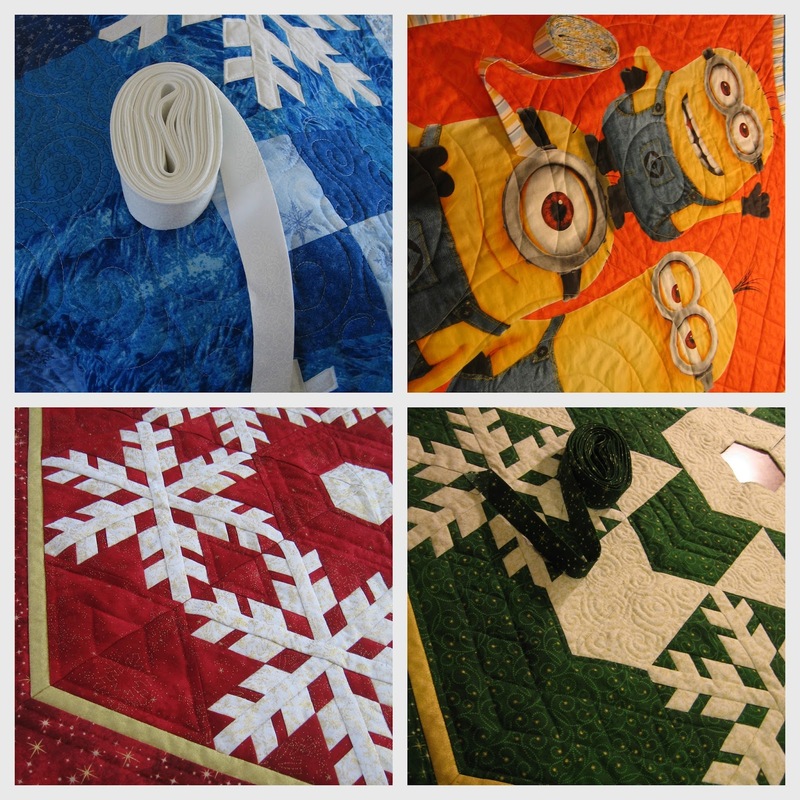 Enjoy your quilting journey in 2016! Not to mention all the time you spent on designing patterns! That must have taken a huge chunk of time, so I think you are off the hook on "only" finishing 2 large quilts. It can be frustrating (I know) to have more UFOs than you want. I need to take an inventory on what I did during 2015. I know I finished my log cabin quilt (queen size), which was a major job. When I finish one UFO, another one takes it's place! But, I'm enjoying it for the most part and I'm sure you are too. I love those December mitts. I can't wait to see your son's quilt all done. I, too, feel like I did a lot of sewing, but I will have to go back and see what I actually accomplished. You were very busy and your quilts are all beautiful. You seem to have a good plan in place for the start of 2016, we will be watching to see your progress! As long as your happy and enjoying what your doing the quantity doesn't matter. Good luck with all your projects. The look beautiful and like lots of fun. It has been a while since I have left you a comment; but I am always peeking in to see your projects. With the best of my intentions I can't seem to accomplish as much as I had hoped. It is always so easy to say I will do "one a day"; but life happens and our goals don't always get reached. But, we just keep sewing and quilting and one day we will get them all finished. Happy New Year to you and good luck reaching all your goals for 2016.